I know I am one of the crazy people who jumped all over the Nexus 6 but I have to say that I do not regret it one bit. I switched over from the Samsung Galaxy Note 3 and thought I would miss some of the galaxy polish, but I didn't miss one thing. The performance of lollipop on the Nexus 6 has been outstanding. I use my phone very heavily and have gotten pretty good battery life, much better than anything I've ever seen from my previous three Samsung products. I had remained loyal to Samsung for quite some time so the idea of leaving to another company was definitely scary. The performance will get better for the battery I am sure, but even now I am getting a full day even with regular use. I guess the Nexus 5 has a different situation, but I would not want people to be afraid of the Nexus 6 just because there have been problems with the Nexus 5. I have been a carrier of various cell phones since 1994 and have never been happier than I have been with this nexus 6. I started to hate Google after I got the Lollipop 5.01 update, Felt like a big step down from the N4 BUT after rooting and running CyanogenMod12 I feel like this is how my N5 was meant to perform, the battery is even much better than when I had KK. I was having pretty craptastic battery life after upgrading to lollipop as well. Then I did a factory reset and its actually a lot better than KitKat. I know it's a pain but the lag, battery life issues, and force closes seem to be much better now. @David, thanks for the info glad you're device is more stable now! Google is fast losing the plot when it comes to mobile OS. Google is stumbling on everything and with so many missteps and one begins to wonder if the folks they have on Nexus and Android OS programs really know what they are doing. For example, Cyanogen came in recently but their OS on OnePlus One is so superior to what Google had ever done. What are the highly-paid folks at Google doing? Look at the mess Google had with battery life and camera on Nexus 4 and 5. Nexus 6 lacks stamina and that "x" factor. Something must be wrong. Is it the sign of the beginning of the end? "It is worth noting that this test was conducted on Android 5.0, and the Android 5.0.2 update is now available for some devices and said to bring a lot of bug fixes and improvements to make system performance more reliable." The next article should be titled "This is Why You shouldn't Pay Attention To An Article Based Solely On Outdated Information". Very true the OS evolves with every update bo easy task with all the hardwae configurations bout there, Yet its worth noting that Samsung's devices seem to have the best improvements with each upgrade. 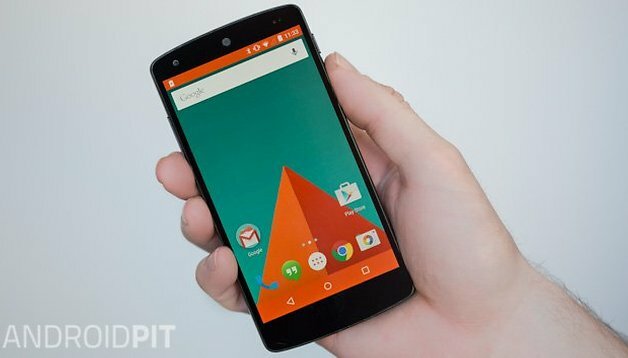 I just wished my Nexus was running smooth with all the great awesome features of lollipop the reboots and battery life leave me wanting something that just works. @SirStephenH, I understand your point, but personally I don't think 5.0.2 would affect the above results to any significant degree. 5.0.1 and 5.0.2 are minor updates. They might fix some rogue bugs that would have seriously hurt battery life on a tiny number of devices... but I think that's about all. Samsung appears to have the best hardware and software implementation of android despite running touch Wiz, all their devices seem to improve with Lollipop 5.0 sadly the nexus phones already on stock vanlla android should in theory show the best improvements. Maybe its time for a new Samsung Galaxy "Nexus" or maybe Google should get Samsung to help develop a better Android OS? Nexus was supposed to be the framework, example for all to follow guess not..
"Samsung appears to have the best hardware and software implementation of android despite running touch Wiz"
"As you can see in the "general" usage statistics above, all of the flagships in the test suffer a dip in battery life after upgrading to Android 5.0. " @Philipp, thanks Philipp that was my mistake. I've updated the article. but seriously the 8-bit music in Phoenix Wright is best. I realized that my Nexus 5 started to charge faster with Lollipop, but also discharged faster too. With the bugs starting to difficult my use from my smartphone, I just gave up and downgraded to KitKat again. Now I'm waiting to see if the 5.0.2 will fix the problems..
@Pedro yeah I think sticking with KitKat until 5.0.2 is a sensible idea. I concur. Google is in a mess as regards the Nexus and Android OS programs. Highly paid folks are floundering on every step and they still get to keep their jobs. For the first time in my life, I am looking for a switch to iPhone. I am not a fan of Apple but one has to admire the stability and polish feel of the OS. Google cannot even get updates right. Wow. What a mess. not really of open source but the fact that there are so many different devices out there. Lol you weren't ignored I sent you a lovely reply and talked about Pheonix Wright! !